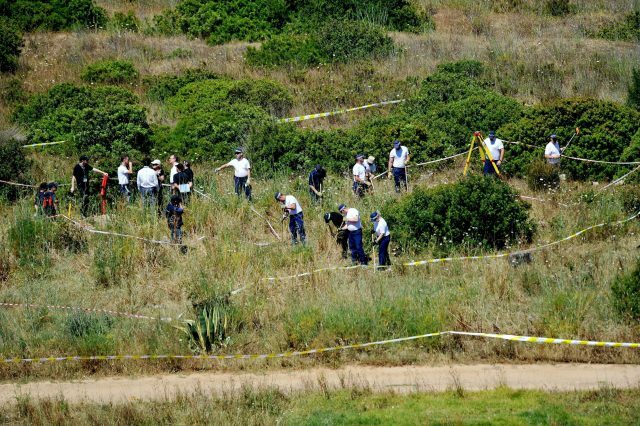 More than £11 million has been spent on the probe to find the missing girl, who vanished from the family's holiday apartment in Praia da Luz in Portugal in May 2007, aged three. With funding for the investigation, known as Operation Grange, in place until the end of September, the Metropolitan Police have requested more money from the Government. The Home Office confirmed the application will be considered. A spokesman said: "The Home Office has provided funding to the Metropolitan Police for Operation Grange and the resources required are reviewed regularly with careful consideration given before any new funding is allocated." Madeleine's parents, Kate and Gerry McCann, of Rothley, Leicestershire, have vowed to never give up hope of finding their daughter. The family spokesman said: "Naturally, Kate and Gerry hope the Met request is granted. "They are encouraged that there remains work to be done that requires extra funding and they remain very grateful to all Operation Grange officers who are continuing to look for their daughter." In March, the Home Office granted officers £85,000 to cover "operational costs" to continue with the investigation, between April and September this year.